Lara O’Reilly/ Business InsiderTruffle Pig’s launch at the Cannes Lions International Festival of Creativity 2015 on The Daily Mail Yacht. (L-R) Alexander Jutkowitz, Evan Spiegel, Jon Steinberg, Sir Martin Sorrell. As the advertising world descends on the Cannes Lions International Festival of Creativity this weekend, Truffle Pig will be toasting its first anniversary. At last year’s Cannes, Snapchat CEO Evan Spiegel, WPP CEO Sir Martin Sorrell, and (now former) Daily Mail US CEO Jon Steinberg held a press conference on the Daily Mail’s yacht to launch their joint ad agency — Truffle Pig. All three companies are equity owners in the agency, which is led by Alexander Jutkowitz, who is the managing partner of another agency, Group SJR. Truffle Pig was described back then as a blend between a content marketing agency and a social agency. It aims to combine the reach and nuances of The Daily Mail and Snapchat’s audiences, with the advertising and content-producing expertise from WPP’s agency staffers. 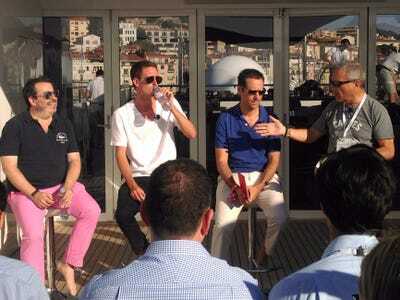 Speaking to Business Insider the day before Cannes 2016, Truffle Pig president Paul Marcum, who joined in October, explained how the agency has come a long way from the concept announced at the festival last year. Truffle Pig now has 10 full-time employees, plus 20 employees from Group SJR that are deployed on behalf of its clients. Roles range from planners, writers, account managers, video producers, and illustrators. Marcum describes the ideal Truffle Pig staffer as a hybrid between a journalist and a media agency planner that understands how best to distribute content across the web. LinkedInPaul Marcum, Truffle Pig president. The agency has around 10 clients — on a mix of retained contracts and projects — from a range of sectors, including NBCUniversal, Tiffany & Co., Ford Canada, and Verve Mobile. So what does Truffle Pig actually do? Broadly speaking, it creates content that is designed to be shared — ranging from sponsored Snapchat Stories, to videos on other platforms that aren’t backed by advertising spend, and illustrations shared on other social channels. “Our role is not to interrupt, it’s to engage … our content needs to earn a place in your Facebook feed, or Nuzzel, or Snapchat. Ultimately the more engaging the content, the less [the client needs to] pay, the more efficient it will be,” Marcum said. However, the benefit of having The Daily Mail and Snapchat as investors is the expertise it can tap into. And at a senior level, Truffle Pig regularly meets with The Daily Mail online publisher Martin Clarke and Snapchat’s US head of creative strategy Greg Wacks. Right now, Truffle Pig is the sole agency producing all the Snapchat content for NBCUniversal’s female-focused channel Oxygen. 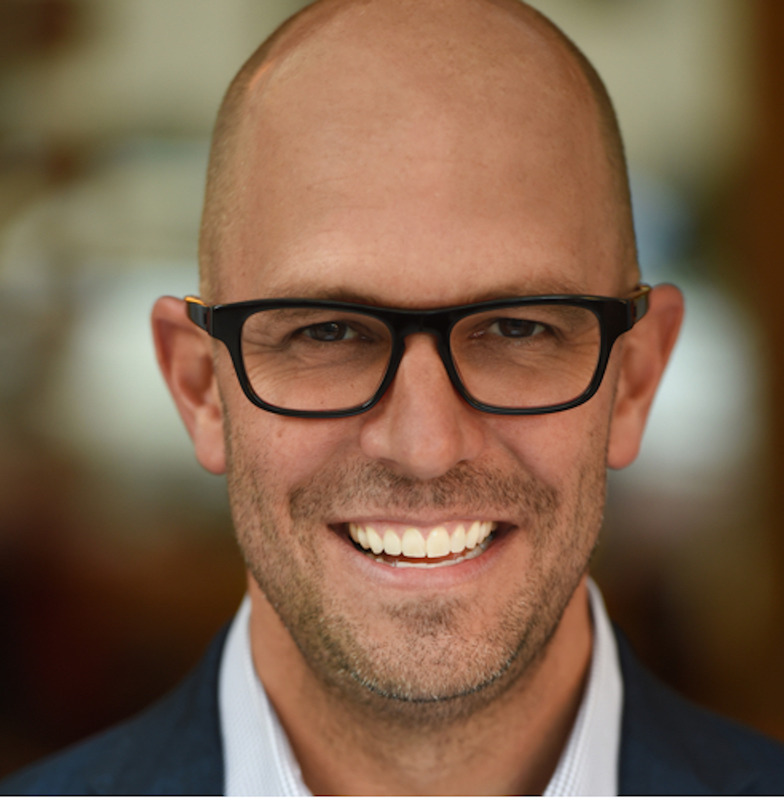 Adam Zeller, vice president of social media from NBCUniversal’s Bravo and Oxygen Media told Business Insider that at the turn of the year, Oxygen had three agencies pitching to create social content for the channel. Zeller was impressed that Truffle Pig turned up to the pitch with ready-made Snapchat content — but also that it had a closer relationship to Snapchat than any other agency. Truffle Pig essentially being an extension of Snapchat appears to be paying off: Zeller said Oxygen’s Snapchat content averages a 93% completion rate. With many of Oxygen’s Snapchat videos lasting around 1 minute, it suggests Truffle Pig — on this client at least — is creating the kind of content people like to watch. The next test for Truffle Pig will be to continue winning clients for work that extends beyond its Snapchat (or Daily Mail) expertise. As a small organisation compared to other social media or content agencies, that might take a little more time. Zeller says he “would not rule out” using Truffle Pig on other channels, but adds that Oxygen also employs other agencies that specialize on Instagram or “more holistic” social media. “But they have that potential to grow to that organisation … I’ve been impressed with the level of service,” Zeller added.